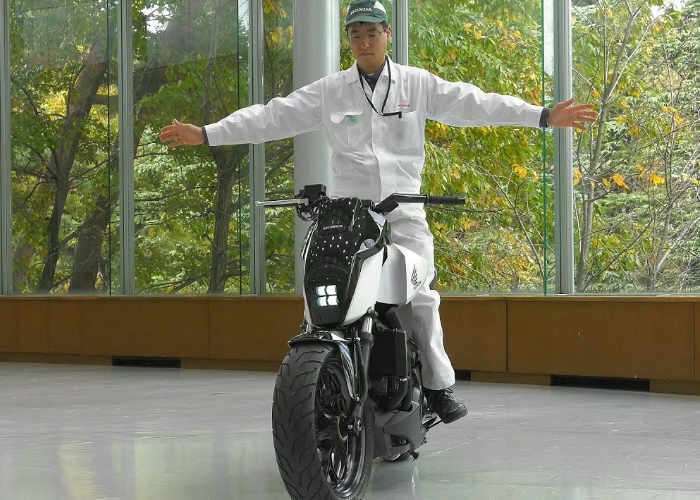 During CES 2017 this week car and bike manufacturer Honda have unveiled a new experimental motorbike that is capable of balancing upright on its own and can even autonomously follow its rider when required. Check out the demonstration video below to see how the experimental Honda self balancing motorbike functions thanks to its Riding Assist technology which enables the bike to automatically balance itself. The new Honda Riding Assist technology has been developed building on technology used in Honda’s ASIMO robot and its self-balancing scooter called the UNI-CUB. Unfortunately no information on pricing or worldwide availability has been released as yet by Honda, but as soon as information comes to light we will keep you updated as always. In a global debut at CES, Honda unveiled its Riding Assist technology, which leverages Honda’s robotics technology to create a self-balancing motorcycle that greatly reduces the possibility of falling over while the motorcycle is at rest.